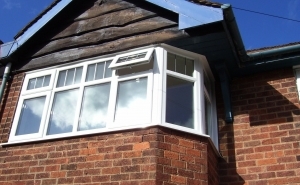 ›Frames & Windows guaranteed in 3 days! 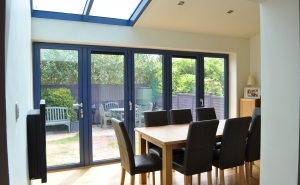 By far the most popular option for spanning large openings are aluminium bi-fold doors which are available in a variety of opening styles and options. 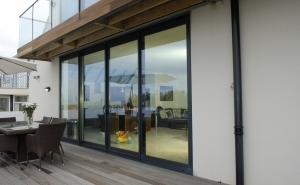 We design and install aluminium bi-fold doors, frames and patios in a wide variety of colours and configurations. 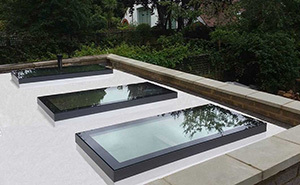 Brighten up a home with our range of stunning aluminium rooflights. Fitted with an integral motorised blind, they allow total control over the amount of light that enters a room. 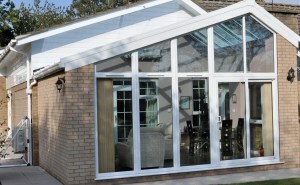 From design and survey, through to the completed installation, we offer you the complete service to ensure that your finished conservatory compliments both your home and your lifestyle. 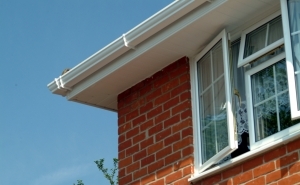 Our roofline and cladding products are aesthetically pleasing and a sound investment for your home. We supply a wide range of ancillary items which means we can provide everything under one roof for your home improvement project. A selection of what we can provide is shown on this page. Please call us or visit one of our branches to see our full range or if something you require is not shown. 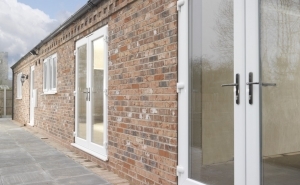 Our residential doors and windows are designed with the British climate in mind and are manufactured in accordance with the latest advances in manufacturing technology. 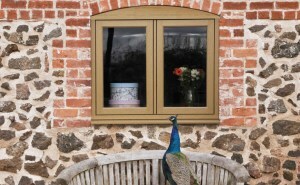 Residence 9 is a new window and door system designed to authentically replicate the kerbside appearance of traditional 19th Century Flush Sash Timber/hardwood window frames. 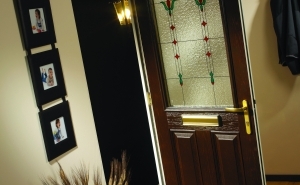 Due to increasing demand we have launched our composite door range to provide our customers with extra choice when selecting the entrance to their home. We are committed to improving our product range to suit our customers. If you can't find what you are looking for please get in touch.